Is it weird to credit weight loss to food? Really though, if someone made me pick one specific thing that has helped me become healthier and stronger, it would be this chicken! Or, more generally, it would be clean eating. I've always thought of myself as a pretty healthy eater, at least most of the time. But "eating healthy" used to mean lean cuisines, low-fat cheese, 100-calorie packs, and weight watcher desserts... none of which I'd be inclined to go near now. I may do a post on the specifics of the diet and exercise changes I've made, if anyone is interested, but the bottom line is - real food is the trick! 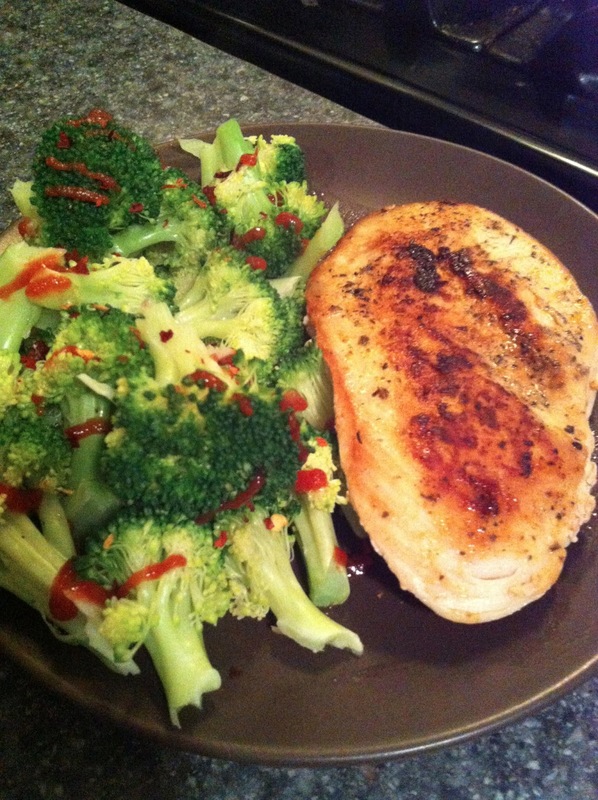 Real food like chicken, and real food like vegetables, fruits, whole grains, eggs, and nuts. And that doesn't have to mean cutting out everything you love (I will not divorce chocolate!) or that you can't "splurge" sometimes, but even eating this way most of the time can make a huge difference. 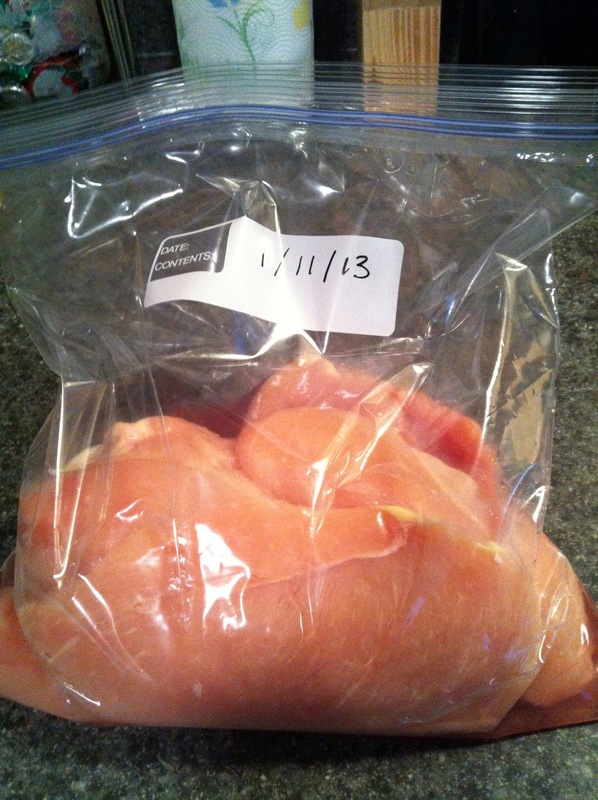 I eat this chicken nearly every day. That might sound crazy, but it's not as boring as it seems. 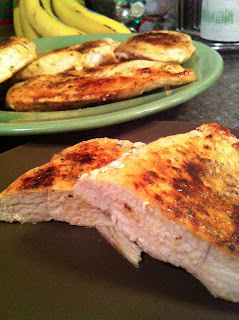 I typically make 7-8 of these chicken breasts at the beginning of the week, sometimes more, then eat it throughout the week on salads, on its own, or in dinner recipes. 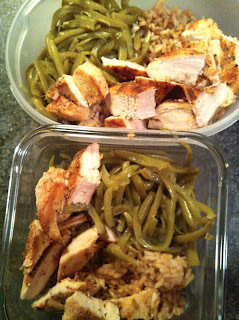 I bring it for lunch several days a week with some type of vegetable and maybe some brown rice or a sweet potato. And honestly, I don't get sick of it! 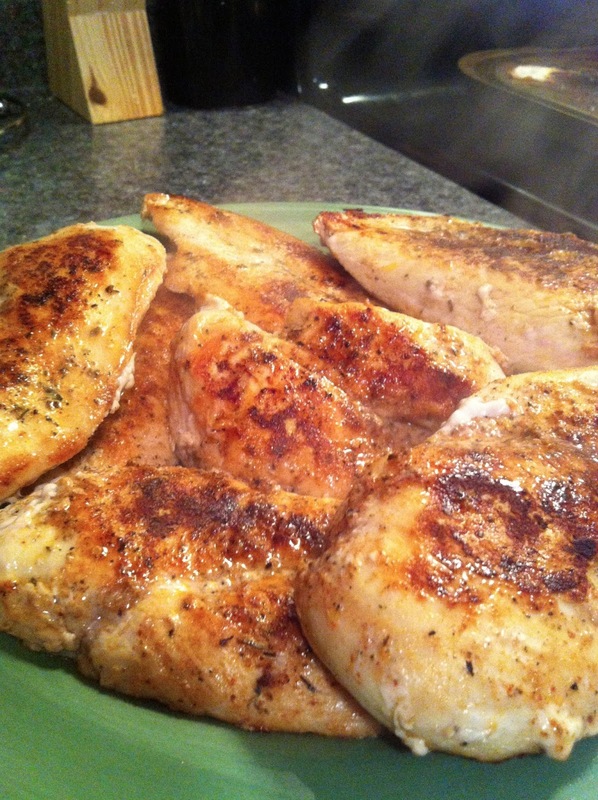 This is some flavorful, moist chicken. This 10 lb bag of frozen chicken breasts from Costco has pretty much changed our lives. It's $20, and has about 40 chicken breasts. They're "select size," which basically means that they're pretty thin, allowing for even cooking. Buying this bag every 2 months or so has saved us SO much money. 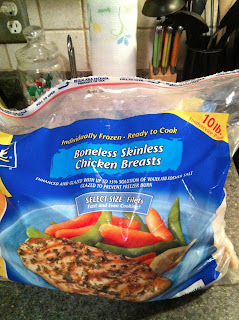 And there's always a dinner possibility in the freezer, even when you desperately need to go to the grocery store. Defrost some chicken, open a can of green beans and make some rice - voila! Dinner! The day before I want to make my spiced chicken for the week, I take out 7-8 breasts, put them in a labeled freezer bag, and toss them in the fridge. They're ready to go in about 24 hours. When you're ready to cook, pull the chicken out and lay the breasts on a flat work surface. 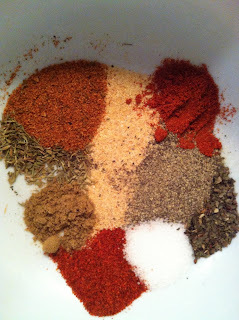 Then, get your dried spices together. You can really be creative here, and nearly any spice combination would work. 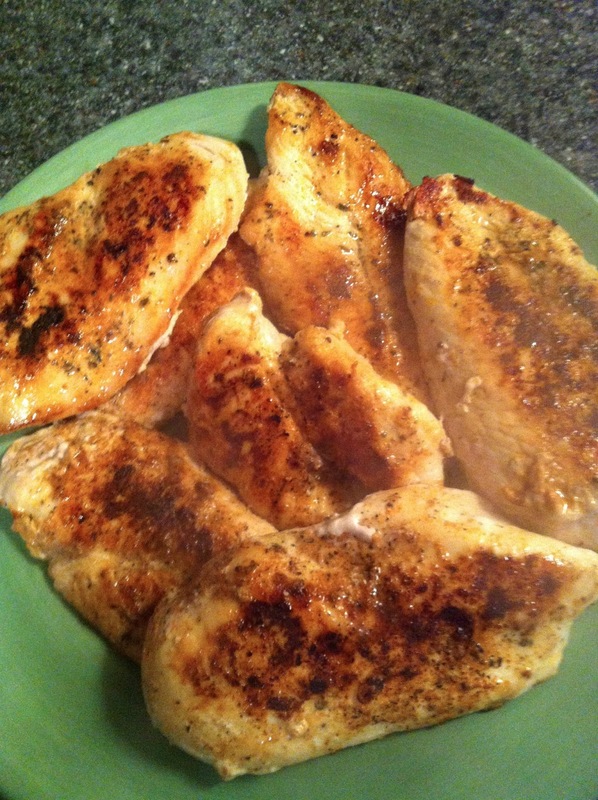 What's most important is that you have enough to cover all of your chicken (you need about 3 tbsp total), and that you have a good, flavorful combo of spices! Typically, I use garlic powder, cayenne, paprika, parsley, cumin, cajun seasoning, salt, and pepper (see my measurements below). But sometimes I'll switch it up and add some curry powder, ginger, thyme... whatever sounds good! Mix all your spices in a bowl. 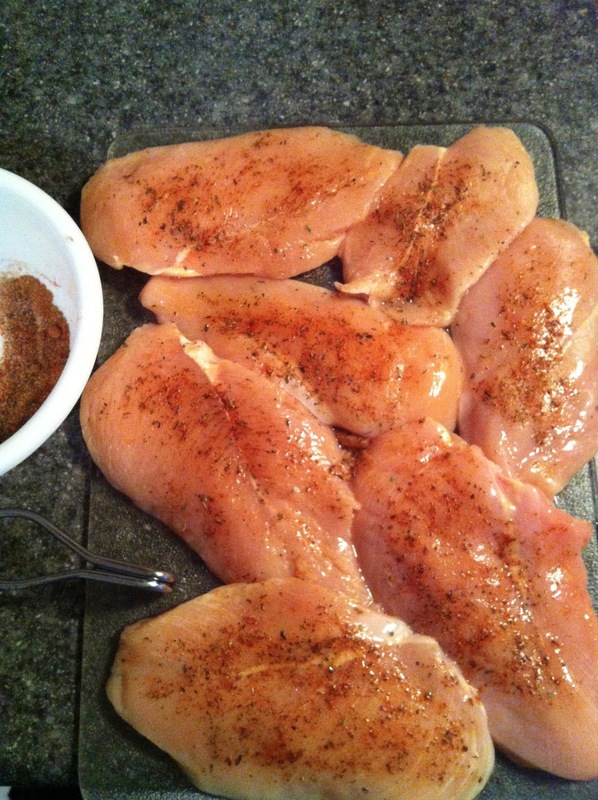 Next, cover both sides of your chicken breasts with the spice combo. Rub half on one side, flip, then rub the rest on the other side. Once the pan is hot, add the chicken. This is not rocket science. Start to take them off and transfer to a plate as they finish cooking; if you have different sizes, obviously the thinnest breasts will take a little bit less time than your thickest ones. Once they're all done and on a plate, cover with foil. Let sit for about 5 minutes. If eating right way, go ahead! Add some veggies, maybe a sweet potato and an apple, and you have a yummy, healthy lunch or dinner. Or, chop it up and toss it on a salad! If I'm making them for the rest of the week, I just place them in a large tupperware container and put them in the fridge. They're good for 4 days or so. Then the night before, just add in some sides. 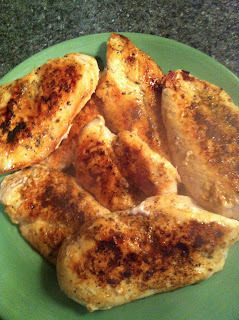 -Heat a griddle, grill pan, or saute pan over medium heat. 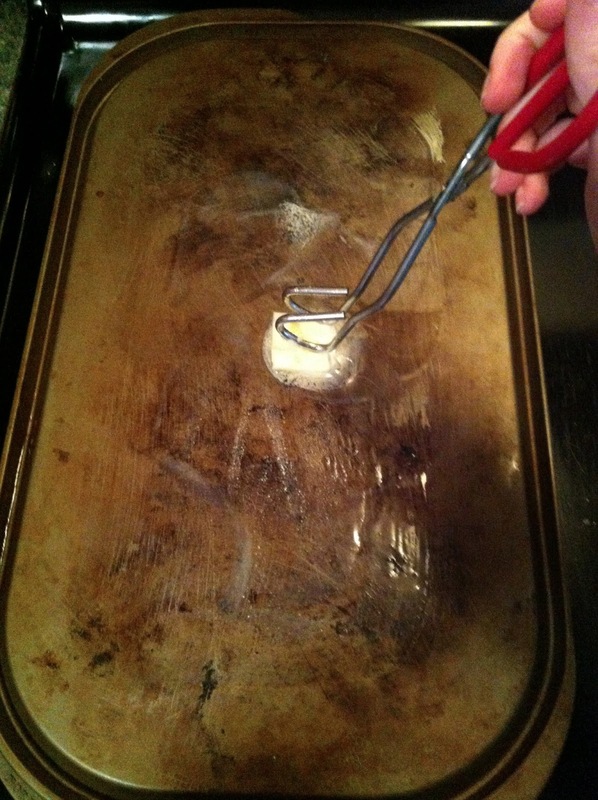 Melt 1 tbsp of butter and 2 tbsp of olive oil. 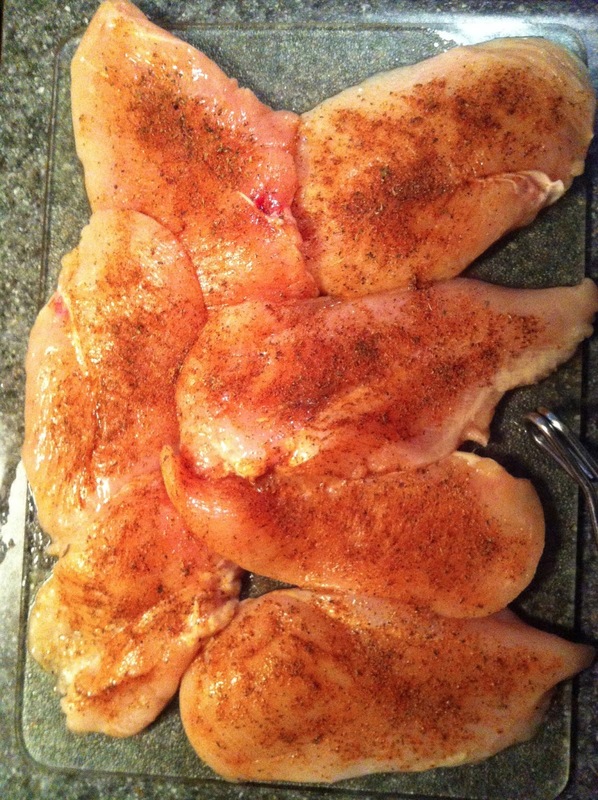 -Once hot, add chicken, being sure none of the breasts are overlapping. 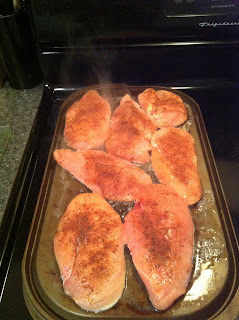 Cook for about 6-7 minutes/side, or until browned and fully cooked through. 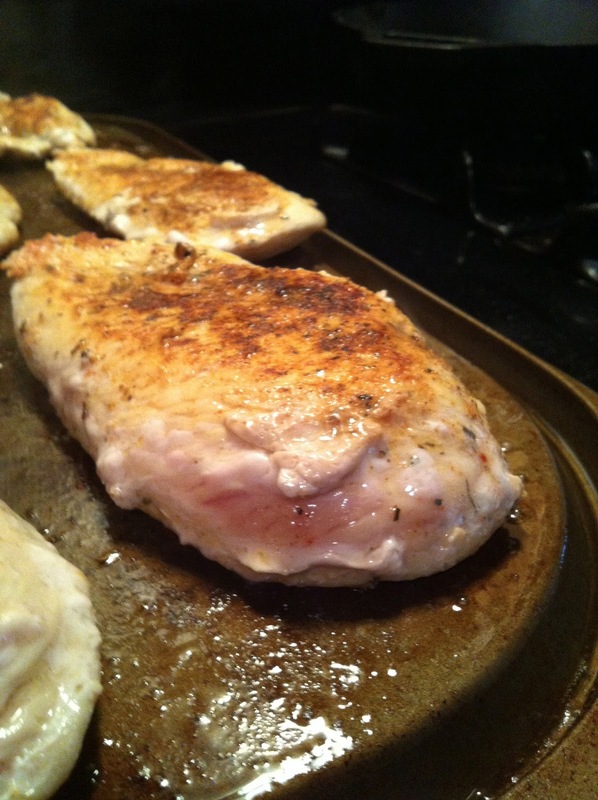 -Remove from heat, and place on a plate. 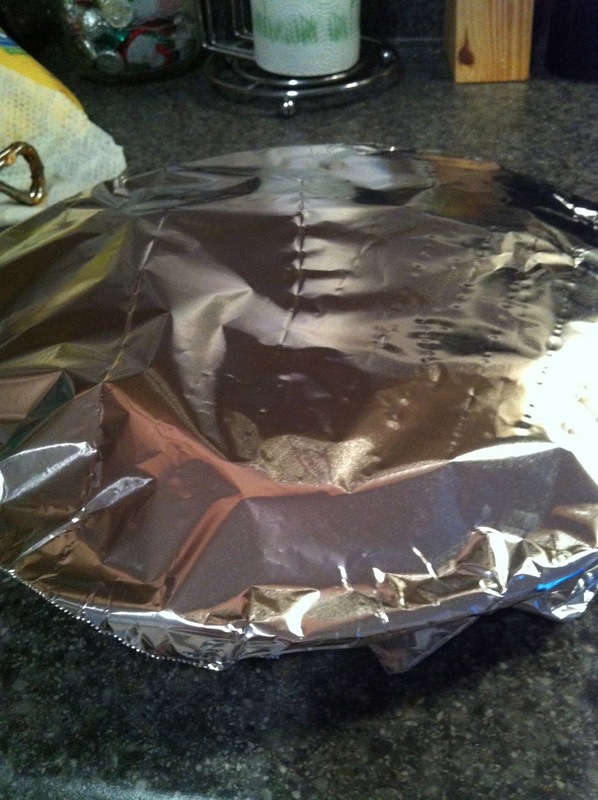 Cover with foil, and let sit for about 5 minutes. Okay, T, this recipe may be life changing for me!!! I'm really trying to eat cleaner, but am not doing so hot. I admit I eat a lot of frozen lunches (but trend more toward Trader Joe's than lean cuisine) and eat more 'crap' than I care to admit. I can't wait to try this chicken! Your blog is awesome! I have already shared it with some friends from school! Cannot wait to try this one out this weekend, keep the recipes coming girl! 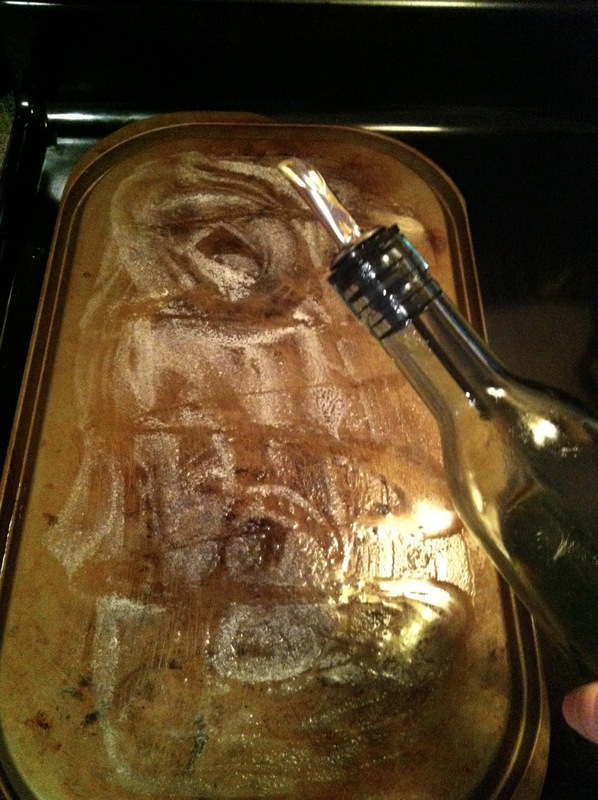 Can you just do this in the oven ? You certainly could, but you would get a different result. 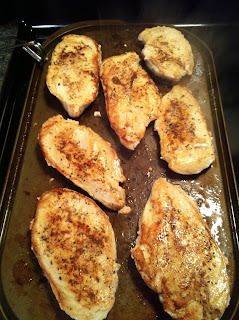 Cooking on a skillet or grill pan gives you more of a "blackened" chicken, with a browned outside, than baking it would. Also, you would miss out on the flavor from the olive oil and butter. If you wanted to bake it, you could do it at 375 degrees for about half an hour. 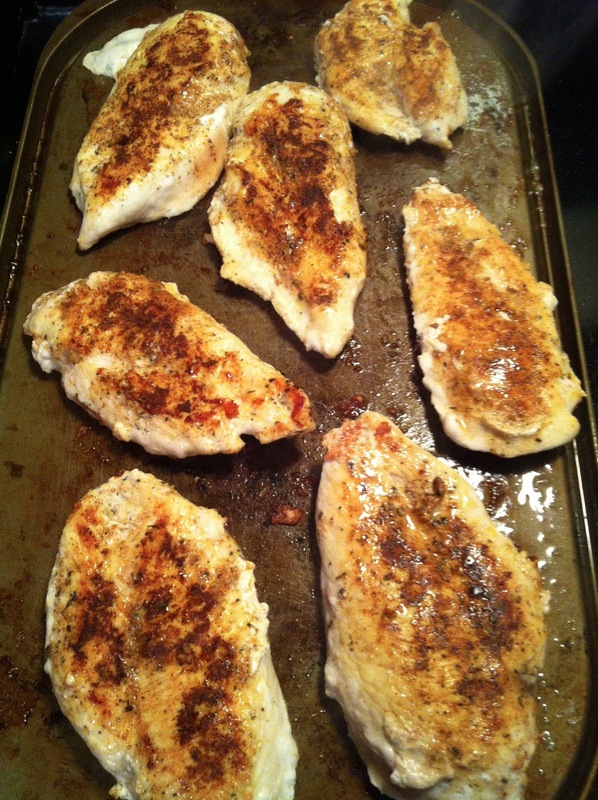 Found this post on pinterest and I'm working on my wedding diet...made this chicken tonight and it's THE BEST meal prep chicken recipe I've made & tried! I only made 4 because I can be bad about not finishing what I make for a whole week. Will definitely be making another batch in a few days! Thank you! !